I prefer a gooseneck to a fifth wheel hitch. 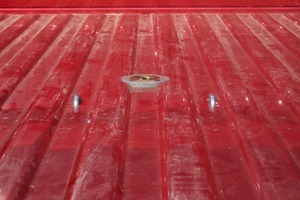 I realize there's a lot of debate over fifth wheel hitch vs. gooseneck hitches. I've hauled a lot of miles with gooseneck trailers and put the fifth wheel hitch to gooseneck adapter on my current RV trailer some 15,000 miles ago. I've personally had nary a problem................... some might say that's because God watches out for drunks and fools and sinceI don't drink much any more.............. I like to think it's because I'm such a darn good driver! I do remember a problem horse or cow or two. I have the busted bones to prove it too! I suspect it's more a question of overloading than fifth wheel hitch vs. gooseneck. But that's just a dumb ol' cowboy talking. Since it's pretty widely agreed that the majority of RV's going down the road are overloaded to some degree I figure I can claim some support for my position! Anyway, since there is so much talk about it, I keep a close eye on all the related hardware, just in case. If I ever find any cracking, warping or some such I guess I'll have to eat some crow and change my ways! In the mean time, I like the increased flexibility of a gooseneck (more side tilt movement than a fifth wheel hitch) and the fact that I don't need two hitches. (I haul gooseneck stock trailers too). 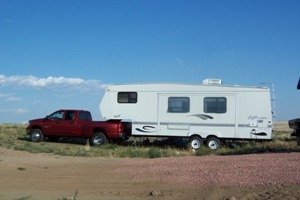 That and the bed is far more open for other cargo with the gooseneck style than with a fifth wheel hitch. I guess you can't use one of these gooseneck conversions if you have one of the really big and heavy trailers but my 30' fits right in. 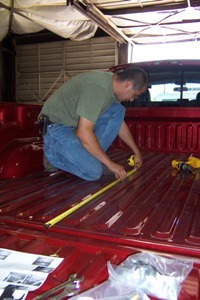 The hitch is rated for 30,000 lbs GTW and 7,500 lbs. 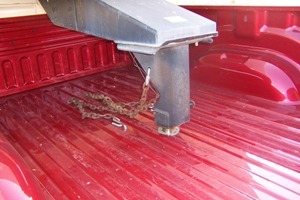 VTW, while my trailer is rated at just under 10,000 with a hitch weight in the vicinity of 1,500lbs. So I'm well under rated capacities whatever the argument. I may not be the brightest bulb in the box but I try not to tempt fate any longer either! I have plenty of bruises from being stubborn but I can learn! I suppose I might go to a straight fifth wheel hitch if I ever for sure and for certain quit hauling stock trailers, but until then, or until somebody can convince me otherwise I'll keep on hauling with my "gooseneck" fifth wheel hitch! 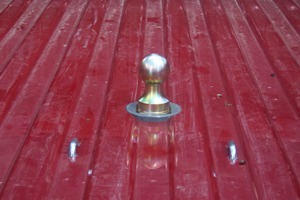 The version I chose for Big Red is the B & W Turnover Ball Gooseneck hitch. An added bonus is that they also build the B & W companion 5th wheel RV Hitch that latches right into the Gooseneck hitch system. If you go this way there aren't any bed rails left in the truck when you need to pull the hitch out. The bed is left the clearest of any of the systems I have seen. 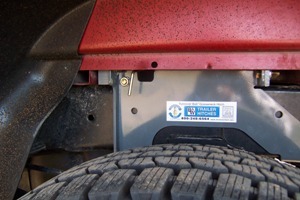 So if you use your RV Tow vehicle for more than just toting your RV I would suggest investigating B & W fifth wheel hitch system. Such a thing never used to bother me, but after signing off just recently on that big ol' price for Big Red I have to admit...........punching holes in something that cost me that much $$$ makes me a little uneasy ! Anyway, the installation only takes an hour and a half or so. 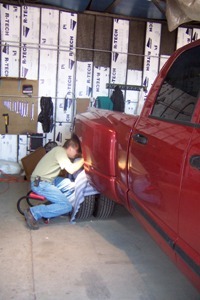 No need to drill or weld on the frame. Built to bolt right on. Only needed the holes in the bed for the ball and safety chains. So while they did most of that, I walked down and watched the Cheyenne Frontier Days parade and had breakfast at the Village Inn! Came back after a couple hours and she was ready ! A brand spankin' new B & W Fifth wheel hitch for Big Red to haul our outfit with. The thing works easy enough. 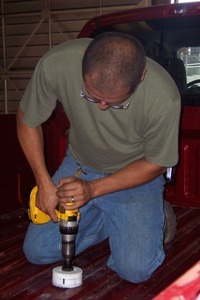 Just pull on a lever in the drivers side wheel well that releases the ball. Then pull the ball out and reinsert it whichever direction you want, up or down! Hitch up your B&W Fifth Wheel Hitch and get going RV Boondocking! Big Red and the Eagle say "OK, What are you waiting for?"